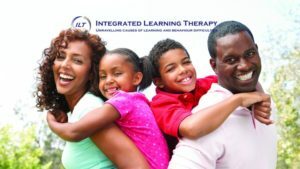 How does parenting style affect a child’s developing personality? Children aren’t born with fully developed personalities. They do show an emerging personality by the age of 4 years and this continues to develop throughout their growing years. At birth, however, they possess the raw material of personality, called a temperament. This will become moulded by their experiences in their families and the larger world (school and friends) into their eventual personality. Most of us feel that children’s personalities can be shaped by either ‘good’ or ‘bad’ parenting. There are studies that show this to be only partly true. Not all children are affected in the same way by good or bad parenting. Some seem to be immune to bad parenting styles and behaviours, while others can be seriously harmed or helped by actions of their parents (or caregivers). A study by a team at the University of Utrecht, published in Psychology Bulletinin August 2016 and written by Christian Jarrett at BPS Research Digest, looked to see how temperament was affected by parenting style and subsequently influenced personality development. The idea was to see how ‘bad’ or ‘good’ parenting styles resulted in positive or negative behaviours in children, depending on four different aspects of temperament. The four temperament characteristics were: impulsivity; signs of early conscientiousness; negative emotionality (the tendency to experience predominantly unpleasant emotions – something displayed by AA Milne’s Eeyore character); and a hard to define combination of all three which could be called a ‘difficult temperament’ and shows up in behaviours like screaming in a shopping mall or other inappropriate place. The study found that the children rated during their infancy with negative emotionality were the most affected by parenting style. These children are most susceptible to bad parenting and can be easily hurt by it. Good parenting, defined by warmth, how much parents made their children feel comfortable, accepted and approved of and loving control (guiding behaviour by helping children think through things and teaching them to behave responsibly rather than autocratic, harsh discipline) helped these children hugely. Children with negative emotionality who are exposed to bad parenting can internalise behaviours in the form of anxiety, depression and self-harm, or externalise in the form of aggression, delinquency, drug abuse and so on. In contrast, susceptible children exposed to good parenting would externally show empathy, community involvement and positive feelings about other people. Internal effects would be succeeding at school, good language, reasoning, memory and other forms of intellectual development. The researchers found that impulsivity and effortful control didn’t have much effect on whether children were negatively or positively affected by parenting styles. Interestingly, the negative emotionality that made children most susceptible to hurt by wrathful, neglectful parenting also allowed them to really be helped by kind, consistent parenting. The vulnerability cuts both ways. “The very quality that appears to be a frailty in children may also be their strength, given a supportive parenting context,” the authors write.